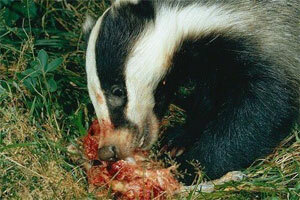 Dorset and Hampshire suffer a high density of badgers, with as many 30 to 40 per square kilometre in some areas. They live in social groups of between six and nine adults; the group are extremely territorial and defend their areas rigorously, by marking their often large areas with dung pits and latrine sites. Within each colony there are generally several badger setts consisting of one main and several subsidiaries, these range from single short holes to several holes extending into a vast labyrinth of complex tunnel systems, usually excavated into large steep banks. Badgers are nocturnal and rarely seen by the general human population unless being observed for a specific reason. Badgers are Omnivorous and part of the weasel family, they mainly feed on a balanced diet of earthworms and insect larvae however they will also eat young and small mammals, eggs from ground nesting birds, hedgerow fruits, bulbs, roots and various farm and garden vegetable crops. They are not considered to be a major pest species but badgers do occasionally cause problems for man, controversially they are known carriers of Bovine TB and considered a major contributory factor in the spread of the disease to cattle and dairy herds throughout the UK. How else can they affect you or your Business? The protection of Badgers Act not only protects badgers but also interference with their setts . A set is defined as any place that a badger currently occupies, or has recently occupied, the Act is also formed to stop the cruel sport of badger baiting and to allow relevant authorities to issue licences to work with or near to badgers. There are ways to manage badgers and badger problems and our experts can advise and carry out a combination of methods to manage and minimise damage caused by badger activity. If you think you have a badger problem we provide free site surveys to help you manage your badger problem, providing recommendations and implementing a solution. 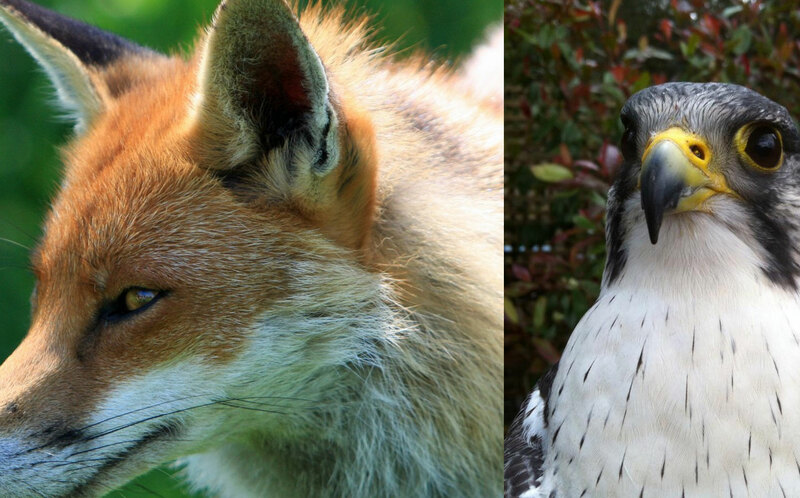 MBC Bird and pest solutions are members of the Association of Urban Wildlife Professionals and work closely with them and other relevant authorities to ensure any badger work undertaken is within legislation. Licenses are issued by DEFRA and Natural England, where actions need to be taken in respect of badger setts that are endangering life, causing economic loss, or damage to property, in the midst of forestry operations, or affecting drainage schemes. Badger setts that are causing damage can be closed under license however the licenses will not be issued to kill badgers. The sett is generally closed by using one way badger gates; the area is then proofed to prevent re-excavation by badgers. The most effective way of preventing damage to crops, lawns, gardens and other damage caused by badger foraging is the use of electric badger fencing. Repellent have limited usage and must be approved products, these are of variable effectiveness and are seldom applicable on a large area. Where badgers forage for underground insect larvae insecticidal treatments can reduce the attraction. When killing of penned livestock is a problem effective proofing is the best remedy. Licenses to kill badgers that are taking livestock are only rarely granted. 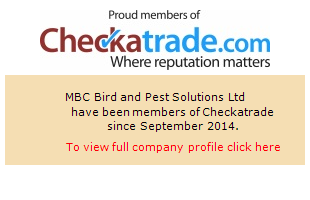 Why MBC Bird and Pest solutions? We have carried out much badger proofing work throughout Dorset and Hampshire we are fully knowledgeable with the legislation protecting badgers and the legal methods available to prevent them from becoming a nuisance and causing unneeded damage to property or livestock. 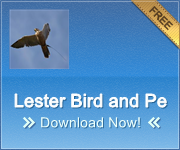 We offer a free site survey with a no obligation quote; we apply for any licences required on your behalf and install the recommended proofing, electric fencing, repellents or insecticides, ethically professionally and within the appropriate season. Working with or near to badgers can be sensitive and emotive issue. We seek the advice of the appropriate licensing authority, professional consultants such as AUWP or ADAS or the local badger group before embarking on any course of action that might affect badgers or there setts. We are a pest control company covering Bournemouth, Southampton, Portsmouth, Salisbury, Dorset and Hampshire under Postcode Areas BH, SO, PO, DT and SP. 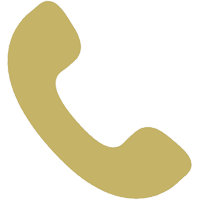 Contact us on our Bournemouth branch which covers Southampton, Portsmouth and all areas of Dorset, Hampshire and the South West.